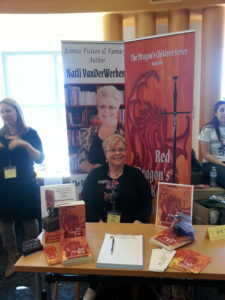 I’m signing copies of Award-Winning Red Dragon’s Keep. Get a picture with a Sword and a Dragon! 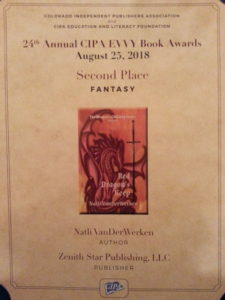 Red Dragon’s Keep, by Aurora, Colorado author Natli VanDerWerken took a Finalist Award in the Fiction: Fantasy category of the Best Book Awards sponsored by American Book Fest. There’s one winner in each category and six finalists. 2,000 books were entered in the overall contest. A major publicity campaign by American Book Fest announcing the award results is underway and will continue throughout the holiday season. A national press release will be sent out next week to media outlets and publishing industry contacts. 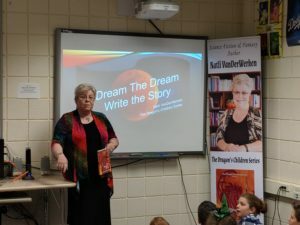 “The book was inspired by a story I told to my five grandchildren one Christmas Eve. We’d finished with opening presents and dinner. The kids were tired and a little whiny and I could hear their parents getting testy. I sat down in the living room and said “I’ve got a story for you.” The kids were putting on boots and coats by the front door. “Once upon a time, there were three families with five children who lived in a castle. The parents had to go to help the King, but they didn’t have anyone to watch the children. 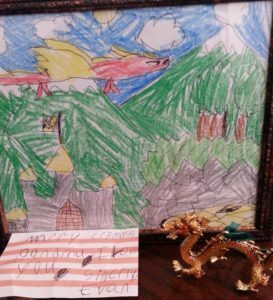 The parents decided to ask the Dragon who lived in the basement if she would watch them.” The story grew from there, with magic swords and bandits attacking the castle and something scary living in the dungeon. 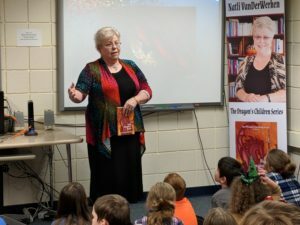 Natli has a Master of Science degree in Computer Information Systems, designs websites, shows Shetland Sheepdogs, creates quilts and writes fantasy and science fiction. She served in the Navy as a meteorologist and anti-submarine warfare specialist. For more information, Natli can be found at https://www.natlivanderwerken.com, and on Facebook at https://www.facebook.com/natlivanderwerken.author . The leaves have turned and are floating to the ground. There’s a little nip in the air, a little chill that makes me want to curl up with a good book and a warm cup of tea, my dogs at my feet. 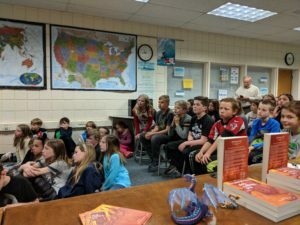 Colorado Authors do a “show and tell,” offering their wonderful books on a perfect afternoon surrounded by interesting people and delectable food. And it’s FREE. The catch: you need to RSVP … and you can bring friends. RSVP by Email …Invite your friends to come as well—the more, the merrier! We just want to make sure that we have plenty of food. You can email your YES and the number of guests you’ll bring to Natli at natli@natlivanderwerken.com. Put October Tea in the subject line. The Holidays are coming … select the perfect gift and have it personalized. There will be books for everyone. Books are the ideal gift—think kids, your friends … how about YOU? There will even be new free books given away. The Treat: Fifteen authors sharing their books and who they are in 30 seconds each. All books will be displayed on tables to “check-out”. All will be priced for less than you can buy them on Amazon. Authors will be signing—some books even come with ribbons! We have books for guys, gals and kids! And, we always have free books while they last that are donated by some of the authors. Plus, tables laden with tasty goodies. YUMMY! Genres: There are lots to choose from including Mystery, Inspiration, Kids, Cookbooks, Memoir, Military History, Women’s Fiction, Adventure, Health, Humor, Writing-Publishing, Fantasy, Self-Help, Humor, and more. RSVP by Registering … it’s FREE and a perfect way to spend a few hours as Autumn continues to share its colors. 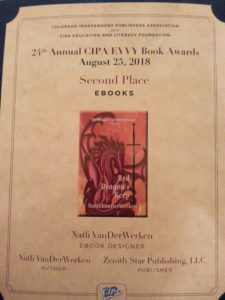 Red Dragon’s Keep, by Natli VanDerWerken, took two Silver Awards in the Fantasy and the Ebook Design categories at the 2018 Colorado Independent Publishers Association EVVY Awards. 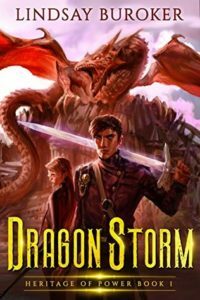 Published in 2017, Red Dragon’s Keep (Zenith Star Publishing) pits Thomas Arach, oldest son and heir to the Keep, against evil mages, traitorous servants, conniving squires, Demons and, of course, Dragons. Throw in a Sword of Light, and it’s a recipe for grand adventure. Everyone is in a mad search for the five pieces of the Dragon Talisman. Natli is currently writing WindRunner, the second book in her series, The Dragon’s Children. “It’s about Owen Arach, the second son, who has to deal with a haughty WindRunner, his own Sword of Light, his jealousy at his brother’s success, elves, dire wolves, the Darkened Forest, and Demons.” The search for the shards of the Talisman continues. Red Dragon’s Keep is available as an ebook and paperback on Amazon, Barnes & Noble, and wherever books are sold. If your favorite store doesn’t carry it, ask, and they will be happy to order it for you. For more information, Natli can be found at https://www.natlivanderwerken.com, and on Facebook at https://www.facebook.com/natlivanderwerken.author. 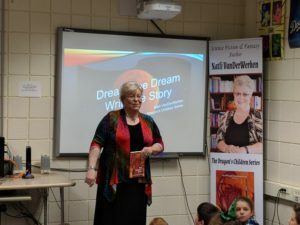 I was invited to visit the 3rd, 4th, 5th and 6th-grade students at King-Murphy Elementary School on May 3 to talk about writing, publishing a book, and to tell them about Red Dragon’s Keep. We talked about writing stories. The librarian, Ms. Juliana Reid, has been teaching the students about the important parts of a story: beginning, middle, and end. Conflict, climax, crisis. I asked questions, and they knew the answers. Good job, Ms. Reid. My daughter Anne, worked with me to put together a PowerPoint presentation for the beginning of my talk. She did a wonderful job. You can find it under MediaKit/Natli VanDerWerken on the website. Dream the Dream. Write the Story. 3rd and 6th-grade students at King-Murphy Elementary. 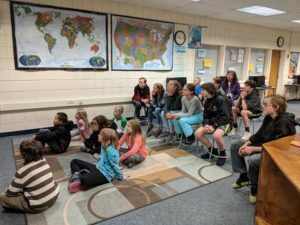 4th and 5th-grade students at King-Murphy Elementary. It was a wonderful day, despite the May 3 all-day rain and the 5″ of snow at the school. Thank you, Ms. Juliana Reid, Mr. Rick Goben, and all of the teachers at King-Murphy Elementary School. Thanks especially to the students at the school. You were wonderful! 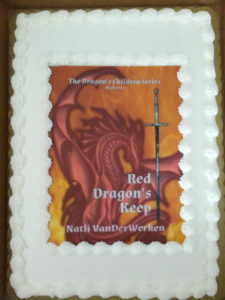 I had the cover from Red Dragon’s Keep airbrushed onto the cake that I’m providing for the AuthorYOU Bootcamp on April 14. I think it turned out really well! 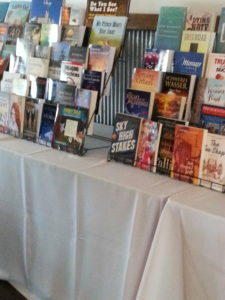 I was at the Colorado Authors League Book Fest at the Denver Public Library on March 3rd. 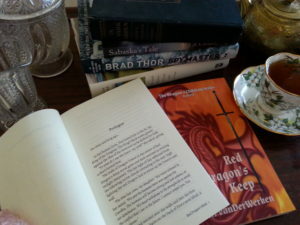 Talked to four librarians, other authors and lots of people interested in Red Dragon’s Keep and writing. On one side of my spot was a horror writer, on the other a women’s fiction author and right near us was a historian. It was really fun and educational. Check out the new Book Bubble from Red Dragon’s Keep. What if your country and your friends hate magic, you have it, and the only way to save your country is to use it? Dragon Storm was lots of fun. I love the new characters in the Dragon’s Blood universe. And new DRAGONS. The main character’s attempts to deny and hide that his “hunches” are actually magic are really funny. The dialog is crisp and the characters carry the plot forward at breakneck speed. Of course, Captain Kaika blowing things up adds a certain spice to the destruction of two main antagonists. Dragon Storm is a worthy addition to Buroker’s stories. Happy New Year! The book signing at Barnes and Noble was a thrilling success. 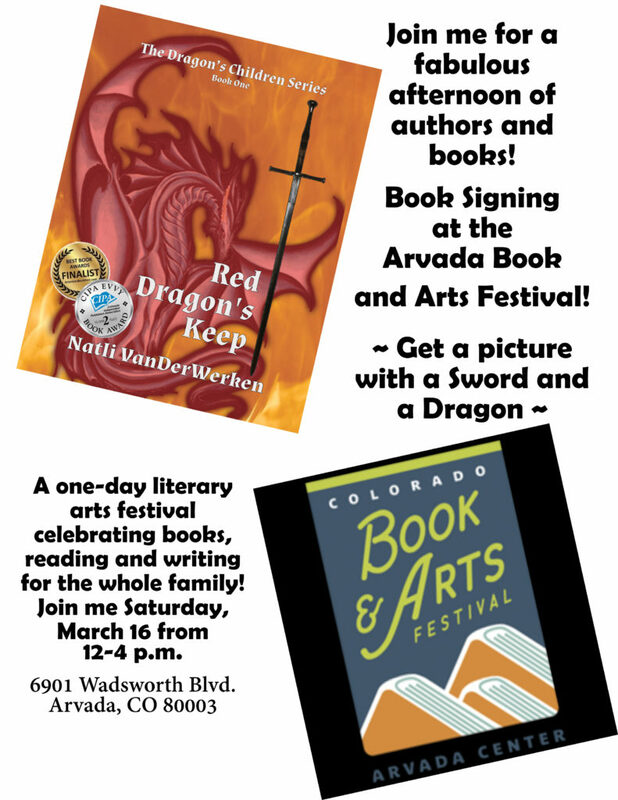 I sold all of the copies of Red Dragon’s Keep that they ordered for the signing. 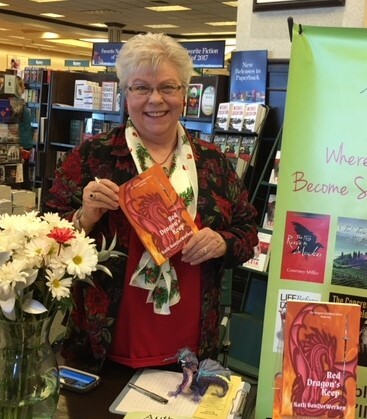 It was so much fun to talk to customers and tell them about the book. 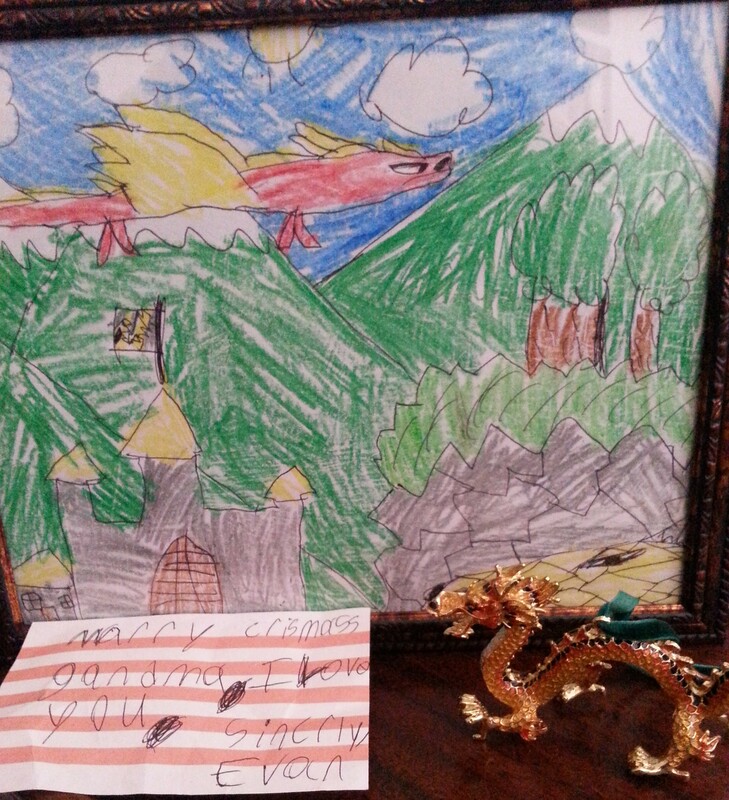 Christmas gift from grandson and a Dragon ornament. Red Dragon’s Keep took center stage at Christmas as friends and family gave me more Dragons and books for my collection. Thanks to everyone for the wonderful gifts. A huge thank you to everyone who bought the book! 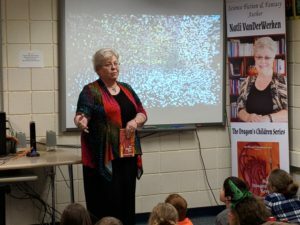 Updates on books, news and other fun stuff! Watch for news about upcoming books, signings, contests and prizes, and stories. tinyurl.com on Windward Range or WindRunner – Which One is Best? minecraft on Windward Range or WindRunner – Which One is Best? DMC5 on Windward Range or WindRunner – Which One is Best?